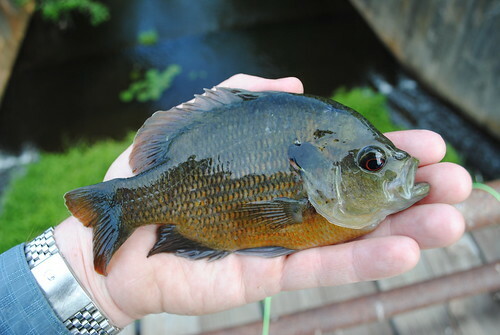 Huh, so tilapia is a churched up name for blue gill? I never knew that, I always thought Tilapia was a halibut or croacker looking fish. Nice pics. 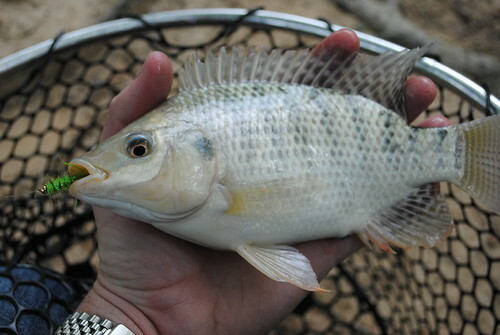 Tilapia is a general name for a number of African Cichlid species that are commonly farmed for human consumption as well as pond maintenance, as they are vegitarian, helping to control grass. They also make excellent Forage fish and die when water temps drop into the 50s. 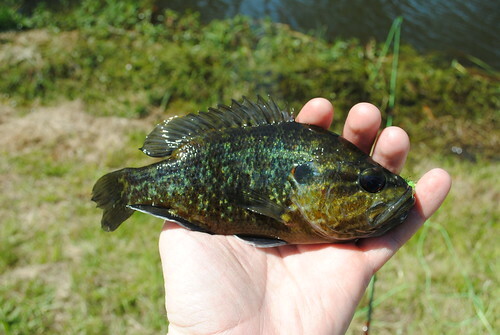 Did you catch that Tilapia by casting into its bed or something? 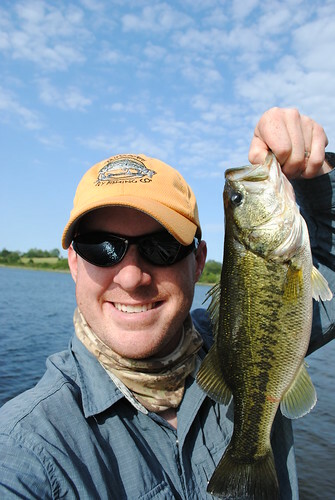 I've heard of people casting little bead heads into the spawning beds and waiting for them to move it. We've got a ton of them here in Florida and the only way I've found to catch them is to either cast net them or shoot them with a bow haha. Great writing...I love your poem, and the truth in those words. 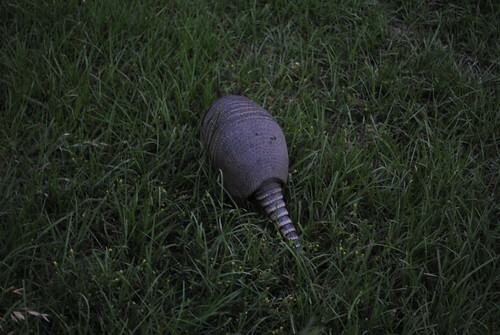 An armadillo and a tilapia...indeed two things I've NEVER seen while fishing. @e.m.b. the Credit for that goes to J. Tillman from his album "Vacilando Territory Blues"
He knows how to turn a phrase. many of my post titles are either songs I like or Lyrics from songs I like. There are schools of them in the lake, the key seems to cast somethign small and green and not move it till they take a test bite. Jonathan - Ah! Good stuff still, and will have to check out J. Tillman. Thanks for posting it!